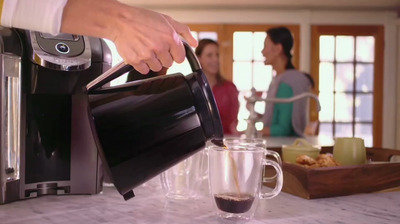 KeurigKeurig’s new coffee machine, the Keurig 2.0. Keurig’s newest coffee brewer was expected to be a top-selling item this holiday season, but it might end up alienating the company’s loyal customers. 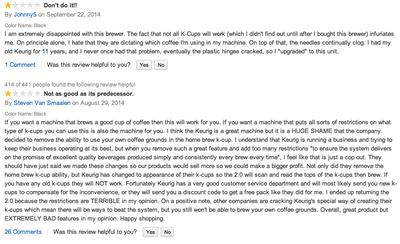 The new $US189 machine, called Keurig 2.0, launched in August and it has already racked up hundreds of scathing online reviews from unhappy customers. Unlike Keurig’s single-serve machine, Keurig 2.0 can make up to 30 ounces of coffee at once using a K-Cup that’s about twice the size of its traditional coffee pods. 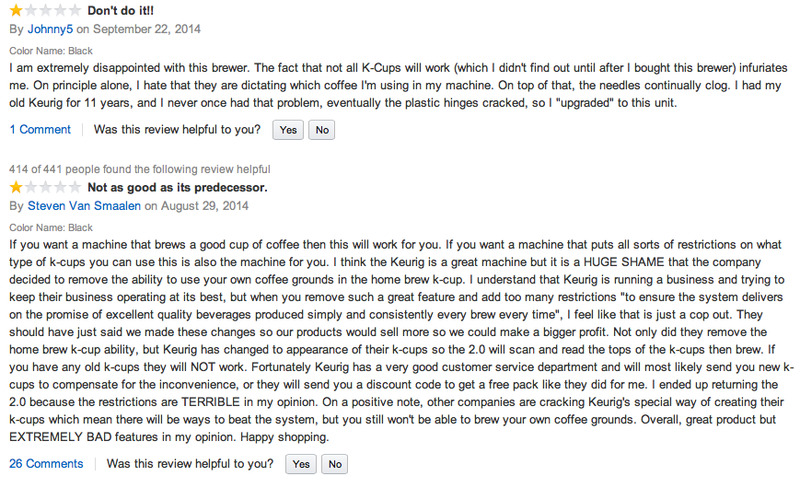 Many customers are upset that unlike other Keurig brewers, the new machine doesn’t accept non-Keurig brand K-Cups. A box of eight carafe-size Keurig K-Cups costs about $US15. Others complained that the machine doesn’t work well. Keurig Green Mountain has also put a lot of stock in the success of its new machine. “Retailers are very excited about the launch of Keurig 2.0, and have been very supportive by highlighting the product with advertising, promotion, and merchandising, as we move through the holiday season,” Keurig CEO Brian Kelley said during an earnings call Wednesday. The brewer is “by far the largest and most significant product launch we’ve ever accomplished,” he said. Two years ago, the company launched another machine that made larger servings called The Vue, and it never caught on. The Keurig 2.0 has some new customisable options that allow users to adjust the temperature and strength of each batch of coffee. The machine also remembers preferences with the touch of a “favourite” button and it still has the capacity to brew smaller batches using regular-sized K-Cups.